What is the Feng Shui Natal Chart of a structure? 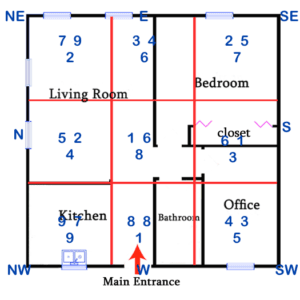 After determining the facing direction of a home or workspace, I combine several formulas such as the EIGHT MANSIONS (4 favorable and 4 unfavorable directions), the GUA NUMBER of each occupant based on date of birth and gender, and the FLYING STARS which include a temporal element. These ancient formulas determine the energies of the entire space and of each sector and provide the Natal Chart of the space offering an accurate and powerful response to the Qi.